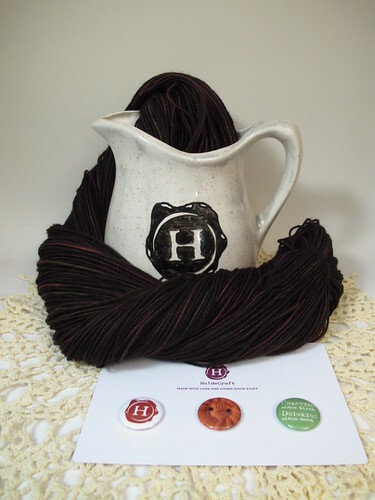 Welcome to the 3rd and last installment of the Fantasy Literature inspired yarn club! 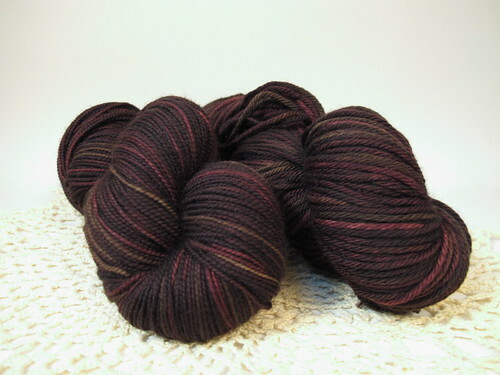 This month's colorway is Not All Those Who Wander are Lost. It is inspired by Strider, known as Aragorn, also called Longshanks, the Dúnedan, and he is descended from Isildur. He is, if you don't know, from the trilogy The Lord of the Rings. First introduced in The Fellowship of the Ring, Strider seems like a nefarious creeper, up to no good and intently watching our hobbits. “He had a tall tankard in front of him, and was smoking a long-stemmed pipe curiously carved. His legs were stretched out before him, showing high boots of supple leather that fitted him well, but had seen much wear and were now caked with mud. A travel-stained cloak of heavy dark-green cloth was drawn close about him, and in spite of the heat of the room he wore a hood that overshadowed his face; but the gleam of his eyes could be seen as he watched the hobbits.” However, this facade is quickly seen through by Frodo trusting his instincts and the innkeeper Butterbur finally passing on a three-month old letter from Gandalf wherein he describes Strider and tells the hobbits to trust him. While the Rangers, of which Strider is one, traditionally wear greens and grays, and while the recent Peter Jackson movies had him dressed almost entirely in black, for some reason in my head I have always seen Strider in shades of brown – thus, this colorway. 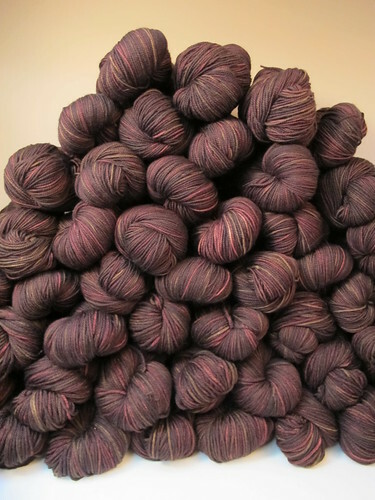 If you opted for sock, the yarn is Andre, an 80% Superwash Merino, 20% Nylon blend which gets 6-8 stitches on a US 0-2. 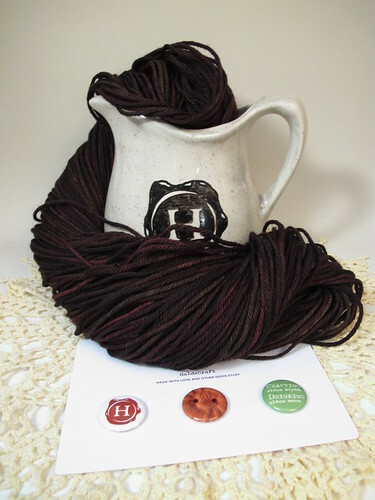 If you opted for Worsted, the yarn is Tepper, a 100% Superwash Merino that gets 4.5-5 stitches to the inch on a US 7-9. And this... is the end of this round of club. The next round of club (available now on my website but only until the 31st of this month!) will be entirely inspired from the book series A Song of Ice and Fire, also known (thanks to the HBO show) as Game of Thrones. You won't want to miss out on that one!